A Professional installation completed this week by the luxury lawns team in Gloucester, Gloucestershire. Luxury Lawns artificial grass is supplied and fitted on groundworks designed to last our customers for many years to come. 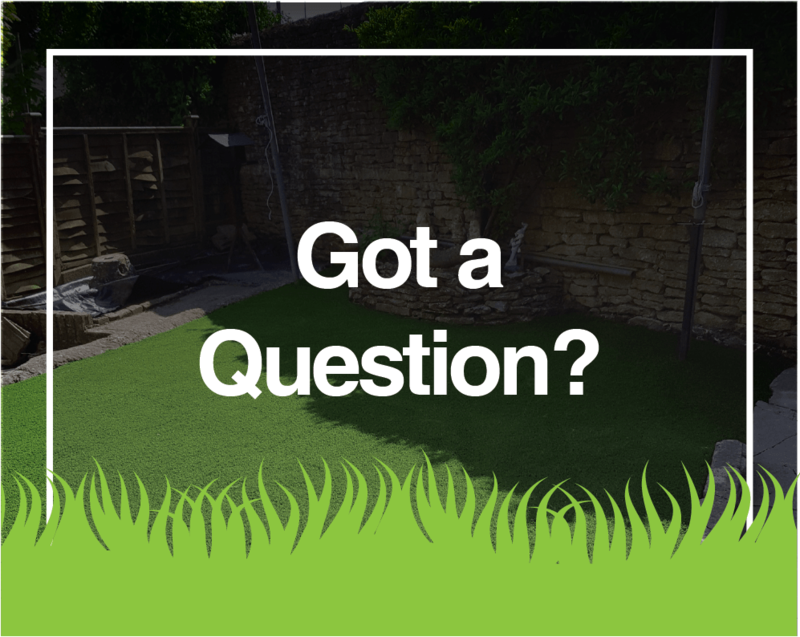 No muddy or discoloured patches with artificial grass! If you have a trampoline, large bushes/trees or anything in your garden causing permanent shade, you will more than likely have large areas of your lawn that are patchy or muddy. With artificial grass you can be sure your lawn will remain green and beautiful despite any wear and tear. 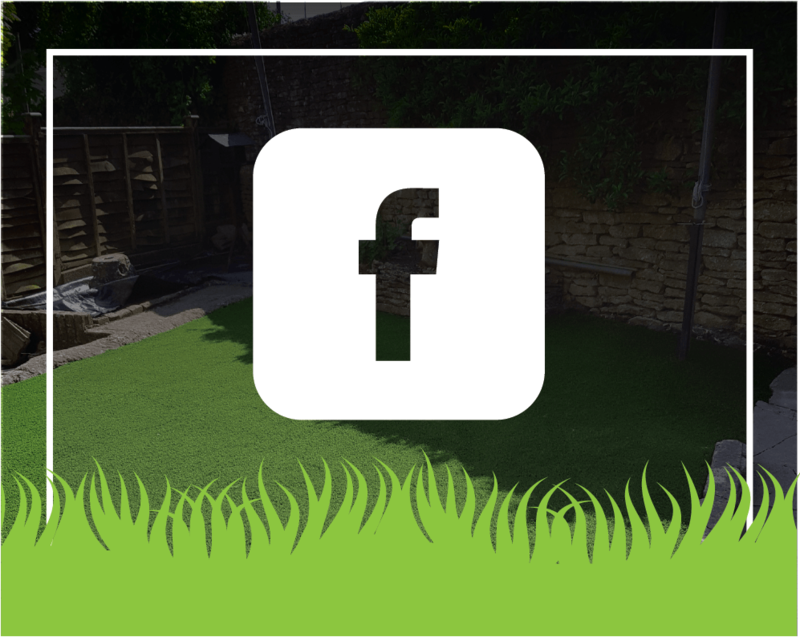 A sleeper border always looks great with artificial grass, creating a lovely area to add beautiful plants around your artificial lawn brightening up your garden even more! 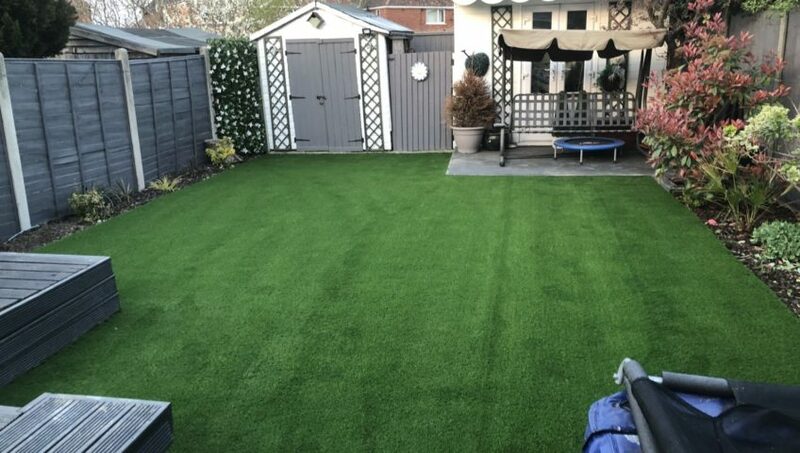 fake grass can easily be installed around trees, hedges, trampolines and much more. Hardwearing Play Areas, great for schools and nurseries.